Mining giant De Beers has reported its diamond production and rough sales performance for the fourth quarter of 2018 and the full year. According to Gem Konnect, rough diamond production in the fourth quarter was up 12% to 9.1 million carats, bringing total production for the year to 35.3 million carats. In volume, rough diamond sales for the fourth quarter totaled 9.9 million carats from three sales cycles during the year – up 20.7% when compared to the same number of sales cycles during the equivalent period in 2017. 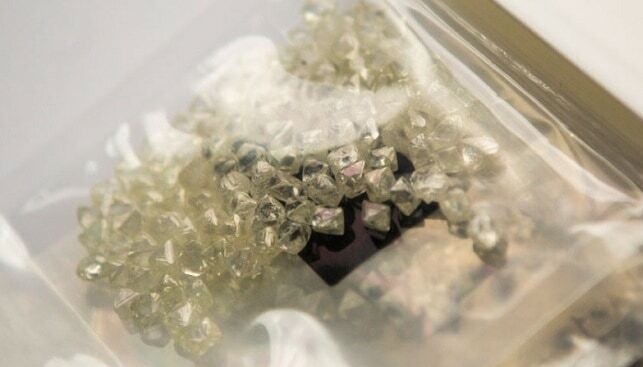 The consolidated average realised price of $171 per carat was 6% higher year-on-year “due to a lower proportion of lower value rough diamonds sold in 2018”. For the full year, rough diamond sales volumes went down 4% to 33.7 million carats. According to the report, “sales volumes in 2018 were also lower than production, driven by lower demand for lower value rough diamonds in the second half of 2018”. For 2019, De Beers said that production guidance stands at 31 to 33 million carats.